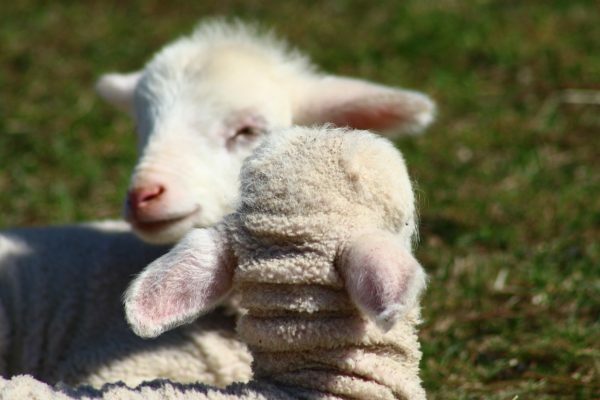 Celebrate spring and meet newborn piglets, lambs, calves, chicks and kids at the barns, and explore the historic village too! Hop on the hay wagon with Farmer Bill and his knowledgeable staff and ride trails through the gardens and forest to a private area where family memories will be born as you help during feeding time and have special access to our newest additions. Tours are offered every day at 11am and also at 1pm on weekends. 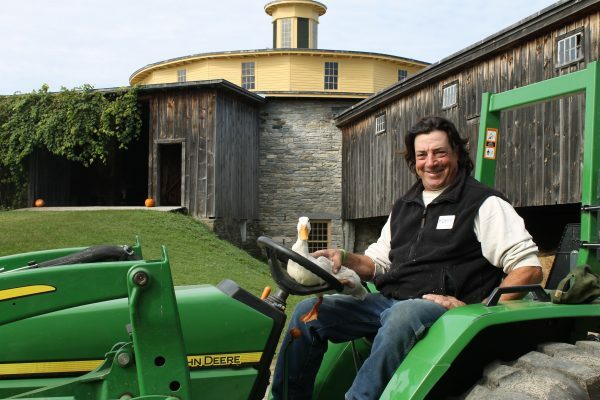 Saturday, April 13, 10:30am: A short, lively, non-denominational blessing and sing-along for the baby animals and their mothers in the iconic Round Stone Barn. Included in admission/FREE to members. Saturday, April 20, 11am and 1pm: Folksinger and storyteller Tim Van Egmond performs multicultural songs and folk tales from the farm. Sing along with the Cuban song Los Pollitos about baby chicks, repeat the refrain in the French tale Bâtis, Bâtis!, answer “Yes Sir!” in rhythm to the African American Did You Feed My Cow?, and more! Tim plays guitar, dulcimer, an Andean rattle, and a lumberjack. What’s a lumberjack? Visit and see! Included in admission/FREE to members. 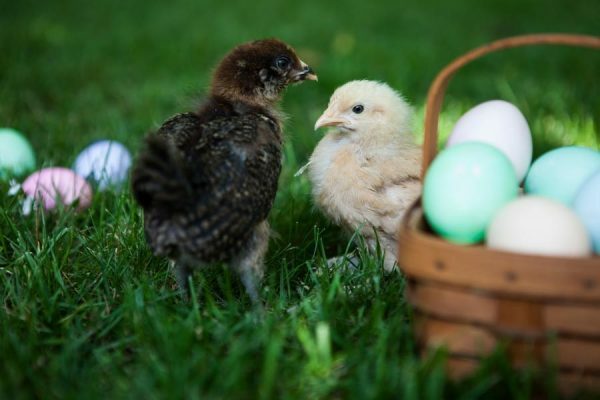 Sunday, April 21: Join in on an old-fashioned egg hunt at 12:30pm and leave the cooking to Seeds. Easter Sunday brunch with mimosas, seatings 11am – 2pm. This MENU has something for everyone in the family. Call Denise for reservations 413.298.1635 or email. Monday, April 22, 10am-4pm: The Center for EcoTechnology leading hands-on environmental activities and an Earth Day sticker art contest. At noon, learn how to garden for the planet using sustainable and Shaker practices for combatting climate change in your own backyard. Join a ring-around-the-Round-Stone-Barn afterward to symbolize our love for the big beautiful round earth. Included in admission/FREE to members. 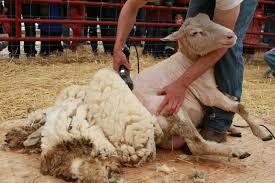 The Village’s merino sheep are this weekend’s stars. Throughout the weekend, follow the wool from sheep to cloak: sheep-shearing with champion shearer Fred DePaul, spinning, dyeing, and weaving demonstrations. Give spinning and weaving a try. See rarely-displayed Shaker-made woolen items, including the famous Shaker cloak. Make a woolly sheep in the Discovery Barn or bring needles, yarn, and join a Sit ‘N Knit. Baby A nimals on the Shaker Farm offers a fun and educational experience for children in all grades. For teachers, we offer planning assistance before your visit and curriculum-based tour outlines. Enjoy our Picnic Area or use our shared indoor seating for lunch. Have questions before booking? Click here to email us. Click here for preparatory materials. Click here for our group reservations form. 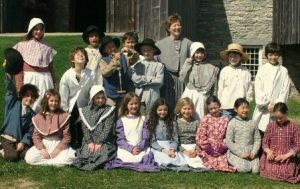 Tour the Village at your own pace, choosing activities that support your curriculum. After your students receive an introduction from our interpretative staff, they can watch Village artisans and farm staff at work, marvel at the sights and sounds of the 1858 water turbine, and delight in heritage-breed animals in the Round Stone Barn — especially the newborns! Hands-on activities in the Discovery Barn include dressing up in Shaker-style clothing, weaving on a loom, and milking a life-sized replica Holstein cow.